Ahhh… I’m LOVING writing blog posts for you this week… because it’s summer on my screen and that makes me happy! Today’s feature is lush, sunny, and so captivating you can almost smell the lemon groves. 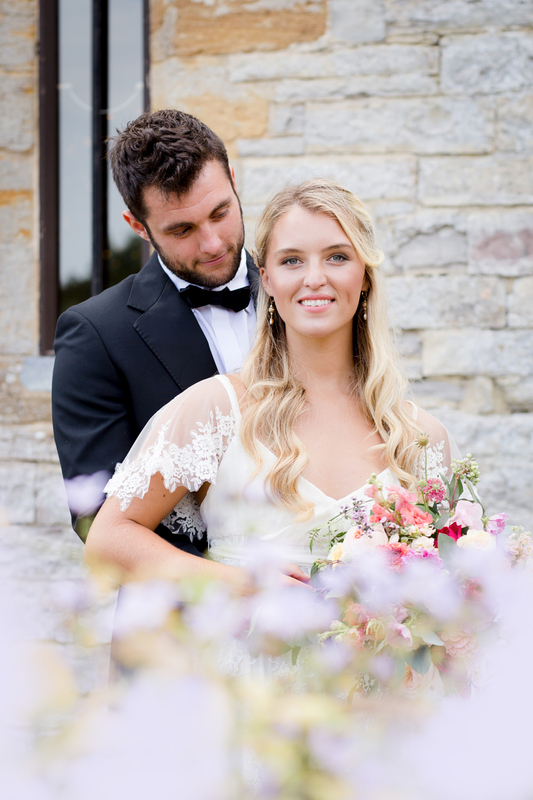 A luxury Mediterranean inspired summer bridal photoshoot at the romantic Almonry Barn wedding venue in Somerset, organised by lovely Ellie Lou Photography. 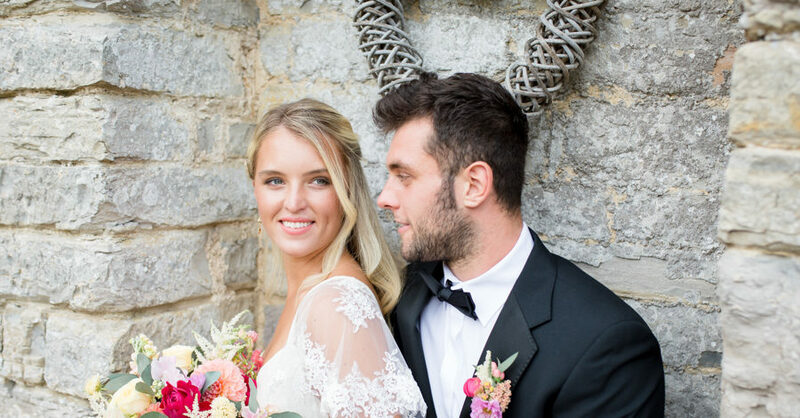 Our bride wears a beautiful silk wedding dress with lace detail by fabulous bespoke bridal dressmaker Ailsa Munro and a colourful citrus-infused colour palette of yellows, orange and pink tones and gold / gold leaf details. 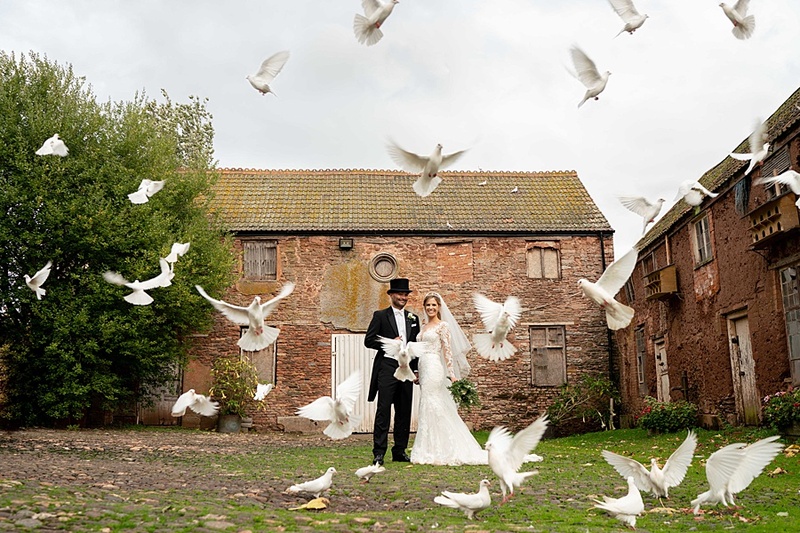 Almonry Barn is a luxury, award-winning wedding venue in Somerset. 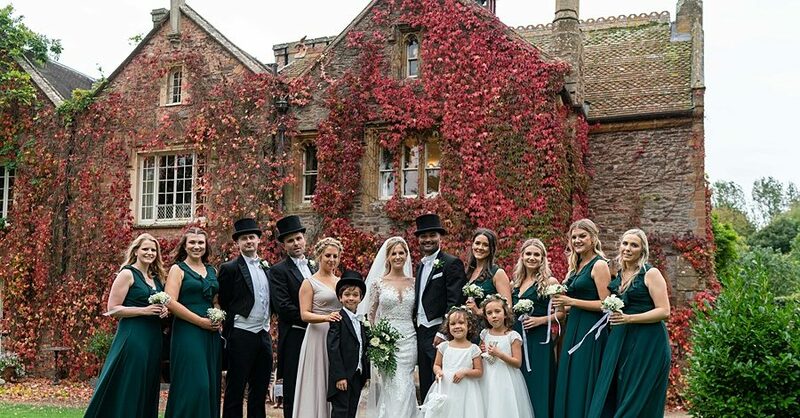 The barn has been beautifully updated with stylish interiors, perfect for a romantic Somerset wedding. 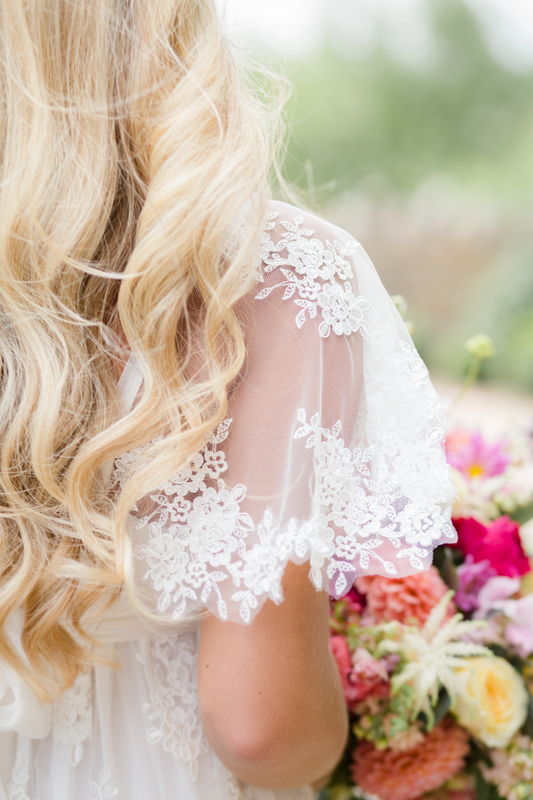 The beautiful silk design dress with lace detail (“Maymie”) is by our favourite South West dressmaker, Ailsa Munro. You know when you look at a rainbow, and it’s so amazing it gets in your eyes and stays there all day? No? You’re about to, with today’s wonderfully colourful English wedding. The hot air balloon is only one of so many visual delights (and hey, if you’re training to be a balloon pilot!! !… it’s got to be done!) The styling and decor make this wedding so fabulously fun, unique and memorable – it has to be one of my favourite weddings on the blog this year. Gorgeous Kristy and Ollie shared lots of info about their day, so do read their fantastic interview after the images! “We made our own invitations, created some of the venue styling pieces such as bunting, paper cranes, we put together some glass vials with wildflower seeds for wedding favours too. I was lucky to have some help from friends and family with all these.